Do you know what Android File Transfer is? How does it work? How to use it to transfer from your Android smartphone or tablet to Windows, Mac OS, or Linux – and vice versa? 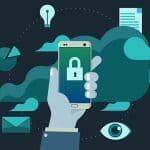 If you plug an Android smartphone or tablet into a Windows computer, you will be able to open its storage to view files, transfer files in and out, as well as delete files. It is very easy to connect and transfer files between an Android device and a Windows PC. You don’t need to install any third-party programs to help you to copy files. However, if you use a Mac OS computer, there is a bit different. Have you ever plugged an Android phone into a Mac computer? Nothing happens, right? You actually can’t just simply plug an Android smartphone or tablet into a Mac and then access its storage. It requires you to install an addition application to assist you to do that. Don’t worry! 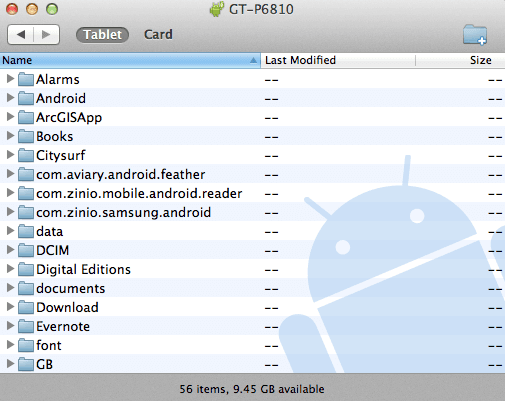 There is an official tool, called Android File Transfer, a free app for Mac OS that developed by Android team. This application allows you access your Android phone storage and then view files, transfer files in or out, as well as delete files. To copy files from your Android smartphone or tablet to a Mac computer or opposite, follow this instruction and then you can access your files in a few steps. Visit here and download Android File Transfer application. Drag Android File Transfer to Applications folder. Connect your Android phone or tablet to your Mac computer via the USB port. Open Android File Transfer application. View your files, transfer in or out, as well as delete files. 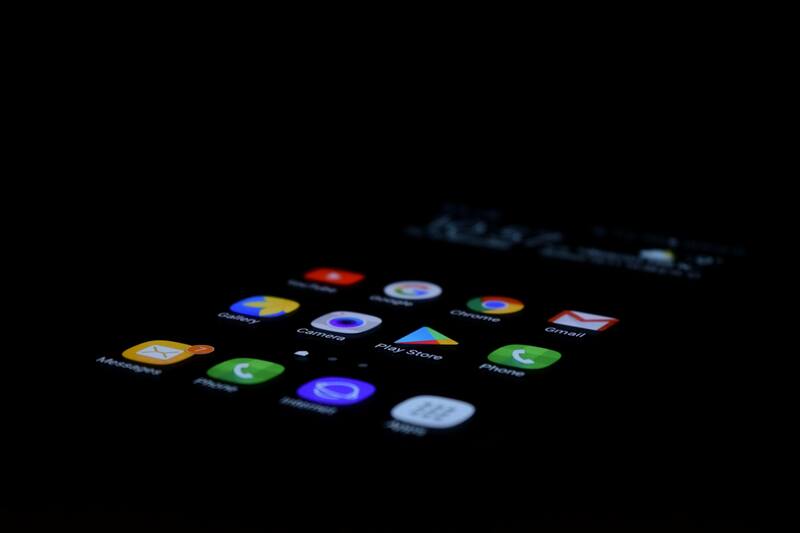 It is the best method to move files between your Android device and Mac OS computer. If you don’t want to use the USB cable or can’t somehow, there is an alternative that allows you to move files between Android and Mac via a Wi-Fi network. Despite the fact that Android File Transfer can help you move files between Android and Mac easily and quickly. But it only has basic features. If you are looking for something more than that, then take a look at a few Android File Transfer alternatives, below. 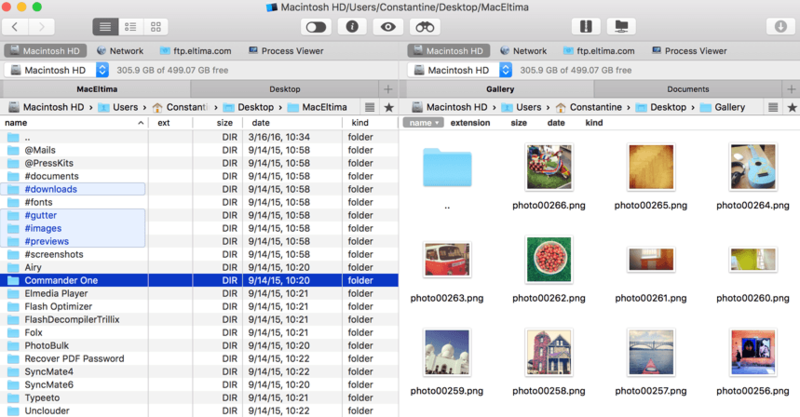 Commander One is a free file manager for Mac OS that helps you to send your files from Mac to Android phone or tablet, and back. It does not only allow you move your files but also comes with extra features, such as show hidden files, brief mode to manage multiple files and folders at the same time, custom hotkeys, flexible selection tool and much more. If you want to use Commander One, visit here to view more details and download. There is also a Pro version of Commander One – $29.99, which comes with many useful features, such as FTP manager, integrate your Dropbox account, manage multiple Google Drive accounts, mount iOS device, or compress and extract. Want to try out? You are welcome to use Commander One Pro for 15 days for free! Not interested in use USB cable to move your files? Then you can quickly browse your Android files using Finder wirelessly. There is a program called Droid NAS, which allows you to share folders through a Wi-Fi network, making your Android smartphone or tablet visible as a Bonjour computer in Finder in Mac OS. This is the simplest way to turn your Android device into a wireless flash drive with a single tap. If you want to try this app, visit here to download and install it into your Android device. In this case, 192.168.1.115 is the local IP address of your Android device. It is not a perfect solution and also a lot slower than using Android File Transfer with a wired connection. But if you don’t want to use a USB cable, it is a right approach. AirDroid is also a great application that allows you to transfer files from and to your Android device from your browser. With this application, you can even receive and send text messages from the browser. Visit here to download and install AirDroid for FREE from Google Play store. Go to airdroid.com on your Mac and sign up for an account. Go back to AirDroid app on your Android device and log in, use the account you signed up. From your Mac OS computer, use your browser, visit web.airdroid.com and then log in. Besides, you can download AirDroid for Mac at its homepage, which works like the web version. 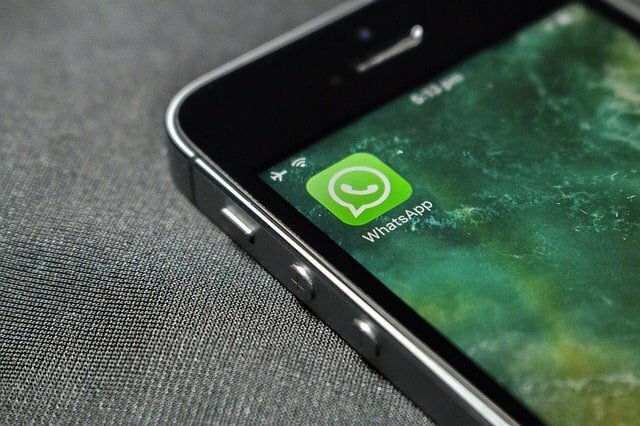 After login and connected, you will be able to receive and send messages, check call logs, as well as transfer files from your Android to your Mac and vice versa. Not only access SMS messages, phone calls, or files. You can access all other features of your Android phone or tablet like doing it from the device. If you don’t know what Dropbox is, then it is a cloud and syncing service, which allows you to sync files among multiple platforms, such as Windows, Mac OS, Android, and iOS. You just need to sign up a Dropbox account, install it on your Android device, as well as your Mac computer. After that, select files that you want to transfer to your Mac computer, from your Android device and then move them to Dropbox. These files will automatically upload to your Dropbox account and download to your Mac computer. By that, you only need to access Dropbox’s folder on your Mac and get the files. It is a file manager app for Android, which you can download from Google Play store. With a built-in Wi-Fi File Transfer like Droid NAS, you can quickly move files between your Android device and your Mac computer. Without any limitations, you can transfer any files in any sizes as you want, including apps, picture, music and video, with super fast speed. If you have any questions about Android File Transfer and its alternatives, please leave your questions in the comment section, below. In case you have any better solutions to transfer files between Android and Mac OS, let me know. I will update this article to add your method (if it’s useful). Have my Doro phone connected to my Mac, I have downloaded my Andriod transfer file. I am told to move the pictures to my computer. Nothing happens. I can see them on my ‘phone but they will not transfer to my computer.